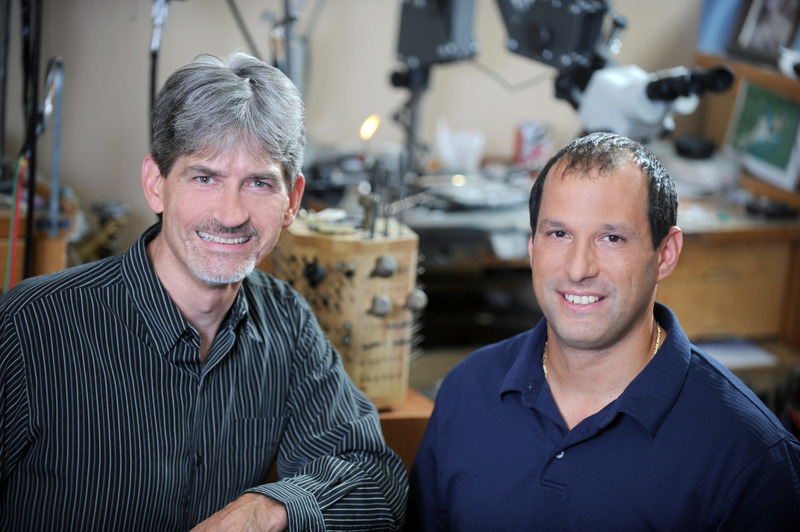 In House Jewelers is led by Scott McQuaid and Matt Durante, two master craftsmen and artists who appreciate the beauty of quality, one-of-a-kind Master Jewelers. Together, they have 45 years of experience and industry knowledge. That experience translates into knowing how to provide a comfortable, relaxed atmosphere for customers. At In House Jewelers, there is no sales pressure – only professional, knowledgeable advice that cultivates trust. As our name implies, our design, manufacture and finishing are all done in house. Your jewelry doesn’t leave the premises. It is created or modeled under the watchful eyes of our professional staff. In addition, you have access to both Scott and Matt as well as your sales consultant, throughout the process. We strive to make your experience as personal as you are. The experts at In House Jewelers perform the ancient Mokume Gane Japanese metal layering technique from the 1600s that was used to create the handles of Samurai swords. A layering process of different metals that creates a “wood grained” finish look, the technique became a part of jewelry making in the 1800s. It is time consuming, but the artisans at In House Jewelers believe it is also quality-enhancing. Their passion for the best jewelry is evident in every customized piece they produce.